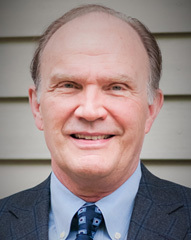 Edward Kling is the owner and president of RVG Commercial. As president, Ed oversees daily operations and supervises all appraisal projects. Ed has been an appraiser for more than 25 years and holds the professional designations of Illinois State Certified General Real Estate Appraiser, MAI, MRICS, and CIAO. 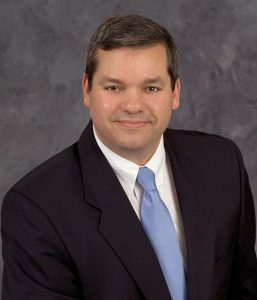 He is licensed in Illinois, Indiana and Wisconsin, and has performed appraisals on properties across the nation. Ed has earned the trust of local assessors, completing mass appraisals for a number of townships and counties. He is a much-sought-after expert witness and often acts as a consultant in real estate tax appeals and similar real estate litigation. In addition to a wide array of commercial and residential appraisal experience, Ed has built a niche for his company in the appraisal of airports, airport hangar development and development investing. 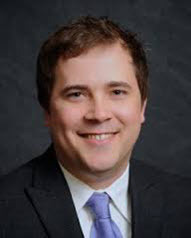 He holds a bachelor’s degree in Marketing from North Central College and a Bachelor of Science degree in Urban Policy Planning from Elmhurst College. Additionally, he spent three years studying architecture at the University of Illinois at Chicago. Peter Helland is an MAI and state certified appraiser. Pete joined RVG in 2005. He has extensive experience in appraising commercial and special-use properties throughout the central Midwest. He provides additional expertise for income-producing properties, going concern interests, and recreational property appraisals. Pete holds a bachelor’s degree in finance from Purdue University. Michael Lysien is a state certified General Appraiser. 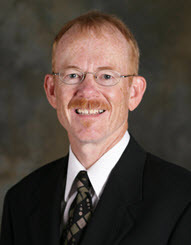 He holds a Bachelor of Science degree in Economics from Northern Illinois University. Mike joined RVG in 2007. He specializes in appraisals for all types of residential, commercial, industrial, retail and special-purpose properties and specializes in gas station evaluations. Greg Schmitt is Chief Executive Officer and appraiser at R.J. Schmitt and Associates, which became affiliated with RVG in 2015. Greg has more than 40 years of experience appraising all property types, including residential and commercial properties. His clients range from financial institutions to insurance companies and developers, and he is a qualified expert witness. He has also been an instructor for several educational entities, including Oakton Community College and the American Savings and Loan Institute. Greg and his brother, Raymond Jr., have worked together to maintain the high standards set by their father, Raymond J. Schmitt, Sr., when he opened R.J. Schmitt in 1964. Located in Lake in the Hills, R. J. Schmitt & Associates serves the entire Chicagoland area including Cook, Lake, DuPage, McHenry, Kane and Will counties. In addition, coverage extends to Walworth, Kenosha, Milwaukee and Racine counties in Wisconsin. 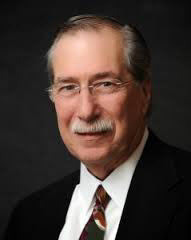 An MAI and appraiser in the Chicago area for more than 40 years, Ray is President of R.J. Schmitt & Associates, which became officially affiliated with RVG in 2015. Ray has vast experience as an appraiser and qualified expert witness, with many clients in the real estate, banking and legal industries. Raymond J. Schmitt, Sr., opened R.J. Schmitt in 1964. Ray Jr. and his brother Greg, have worked together to maintain the high standards set by their father, providing professional valuations on both commercial and residential properties. 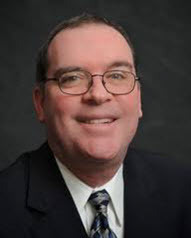 Keith Stewart, MAI, has been involved in the appraisal of commercial real estate since 1997 and is a Certified General Appraiser in both Illinois and Wisconsin. Keith joined RVG Commercial in 2013. Prior to joining RVG, Keith was with leading Wisconsin appraisal firm, L.A. Duesterbeck & Associates. Additionally, he co-founded Stewart Real Estate, Inc. in 1998, serving as Vice President and then President. He specializes in the appraisal of retail, office, industrial, apartments, mixed-use, special use, income-producing, and vacant properties throughout Illinois and Wisconsin. He is a licensed pilot and has extensive experience in the appraisal of aviation-related properties. Keith holds a bachelor’s degree in Economics from the University of Colorado. He is also a licensed managing real estate broker in Illinois. 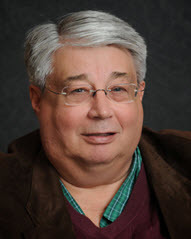 Charles Jesse has more than 30 years of commercial appraisal experience. Most notably, from 1991 until recently, he was co-owner of Cornerstone Realty Advisors in Chicago. He is a state certified real estate appraiser and has maintained the MAI designation from the Appraisal Institute since 1990. 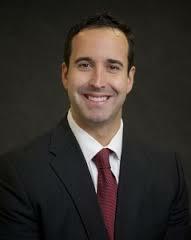 His clients include financial institutions, attorneys, developers and corporations. He received his undergraduate degree from the University of Illinois, Champaign. Thomas Cullerton is a state certified General Appraiser. 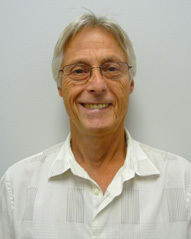 Tom joined RVG in 2009 with more than 30 years of experience. He specializes in appraisals and consultations on industrial properties but is experienced in all types of residential, commercial, industrial and special purpose properties throughout the greater Chicagoland area. Tom holds a bachelor’s degree in finance from the University of Illinois. 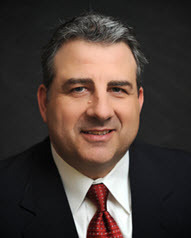 Donald DiNapoli is a state certified General Appraiser in both Illinois and Indiana. He is a member of the Royal Institute of Chartered Surveyors (MRICS). Don joined RVG in 2002 and has multiple years of experience on large commercial and industrial appraisals. His expertise is hotels, airports and multi-tenant retail development appraisals. Don has completed appraisal assignment in 26 states. He holds a Bachelor of Arts degree in Business from North Central College in Illinois. 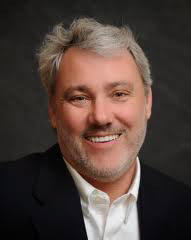 Sam Salvi is a state certified commercial real estate appraiser who began working with RVG in 2015, when the company became affiliated with R.J. Schmitt and Associates. 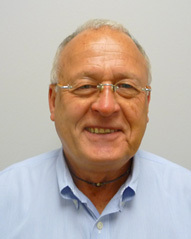 Sam has worked with R.J. Schmitt since 1994, and in 2005, he began managing Schmitt’s Commercial Appraisal Department. Sam’s primary focus has been on appraising properties in the city of Chicago, including new residential construction, apartment conversions and store fronts, however, he is experienced in appraising properties in all six Chicago area counties. Sam holds a B.A. from the University of Michigan. 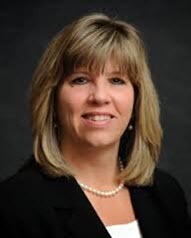 Karen Kennedy is a state certified General Real Estate Appraiser. She has 24 years of appraisal experience. She began specializing in commercial properties in 1994, working in Chicago and the six collar counties. Her focus is on multifamily and mixed-use commercial/residential properties, as well as attached single-family and multi-unit new construction projects and condo conversions. She is also adept at appraising commercial, industrial, retail and special-purpose properties. Karen holds a Bachelor of Science in Business from Elmhurst College. 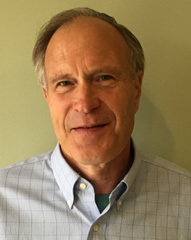 David Koller comes to RVG with more than 40 years of commercial appraisal experience, including 25 years as president of Cornerstone Realty Advisors in Chicago. Prior to that time he worked independently for several firms. He is a state certified real estate appraiser with experience in all property types, including apartment buildings and complexes, vacant land, industrial buildings, single tenant net leased properties, shopping centers, and special use properties, such as houses of worship and educational facilities. Edward Pavlica is a state certified Residential Real Estate Appraiser. His education is from Queens College in Queens, New York. Ed joined RVG in 2004 and currently heads its residential division. Ed has experience in relocations, single and multi-family properties, condominiums, divorce and pre-sale market estimates. 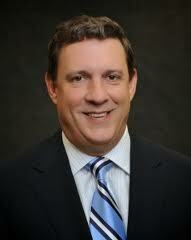 Scott Kling is a state certified General Real Estate Appraiser. He holds a Bachelor of Science degree in Finance with an emphasis in Real Estate & Banking from Western Illinois University. Scott joined the firm in 2004. He has multiple years of experience in all Chicagoland counties and specializes in agricultural evaluations. 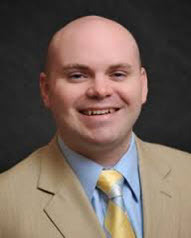 Michael Carpenter is the Managing Broker for RVG Milner/Carpenter Commercial Realty. He is a commercial real estate investment specialist with more than 20 years of experience in sales, leasing and development of commercial properties. He earned the Certified Commercial Investment Member (CCIM) designation in 2003, which confers recognition as a professional in commercial real estate brokerage, leasing, asset management, valuation and investment analysis. 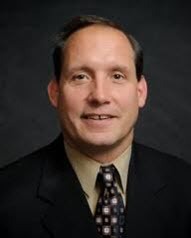 Mike attended Northern Illinois University and graduated in 1985 with a degree in Engineering Technology. Prior to his real estate career, he developed and sold a chain of retail and food and beverage operations. He has previously formulated investment companies and conducted all aspects of commercial development of real property, including the acquisition and subdivision of land, providing for utilities, construction of building improvements, property and ground leasing, and property exchange for reinvestment purposes. His specialty is in retail and medical office space. 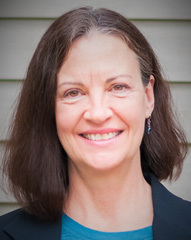 Denise Weinmann has been a commercial real estate broker for more than 15 years. She is versed in all facets of commercial and industrial sales and leasing. She has a proven track record of being very successful in negotiating contracts, whether with a sole proprietor or a Fortune 500 company. Her experience has gained her the trust and confidence of numerous clients and the respect of her peers. She was named Realtor of the Year in 2006. Denise holds the prestigious Certified Commercial Investment Member (CCIM) and Society of Industrial and Office Realtors (SIOR) designations, and is a member of the Accredited Land Consultants (ALC). She currently is co-chair of the SIOR’s Admission and Accreditation Recruitment Committee. Mark began his career in real estate in residential sales in 2007 with Century 21 Elsner in DeKalb. 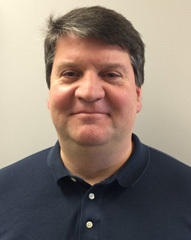 Prior to his real estate career, Mark spent 25 years in his family’s automobile dealership, Sawyer Auto Imports in DeKalb, representing Mercedes-Benz, Volvo and Honda automobiles. As dealer principal for more than 15 years, Mark developed hands-on management experience, enabling him to bring a balanced business perspective to the challenging process of buying or selling properties. Mark has teamed up with his wife, Denise Weinmann, at RVG to ensure every aspect of a client’s transaction is managed successfully from start to finish. Adam Katz began his career in real estate in 2011 and is in the process of earning his CCIM designation, which affords professional recognition as an expert in commercial and investment real estate. Before joining RVG Milner/Carpenter, Katz worked in the banking industry and started a real estate investment LLC that specializes in single- and multi-family unit acquisitions, which he still operates. Katz received his undergraduate degree from the University of Iowa and his MBA from Northern Illinois University. 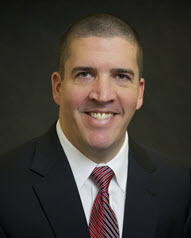 Michael Deacon joined RVG Commercial Realty in 2009 and has been a commercial real estate broker since 2001. He has a long history of involvement in real estate and banking, beginning with his auditing career at Arthur Anderson & Co. He served in executive positions at Home State Bank and First Colonial Bank of McHenry County, and consulted on real estate development and appraisal projects. Michael specializes in commercial properties in Illinois’ northeastern counties and in southeastern Wisconsin. Rich Perillo has more than 11 years of experience in real estate leasing and sales in both the residential and commercial real estate arenas. Before joining RVG Commercial, Rich was a Hall of Fame Producer and 100% Club Award recipient with Remax, with over $60 million in real estate sales. He is proficient in sales, new construction negotiations, commercial leasing and sales negotiations, and short sale and foreclosure bank negotiations and sales. Prior to his real estate career, Rich was vice president of operations at Grindmaster Corp. He is currently chairman of the Ambassador Committee of the Algonquin-Lake in the Hills Chamber of Commerce, President of the Fox Valley Business Group, and director of the Business Owners Supporting Success Group.